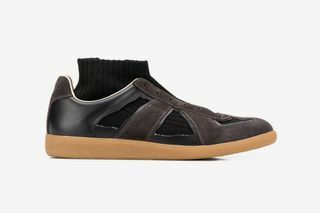 Key Features: Black-ribbed inner sock, a laceless design, paneled construction, and flat rubber sole. 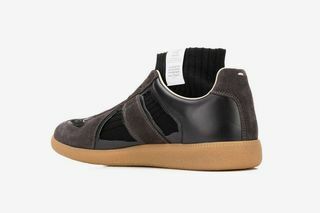 Editor’s Notes: Maison Margiela’s signature Replica sneaker returns in a new high-top sock iteration. 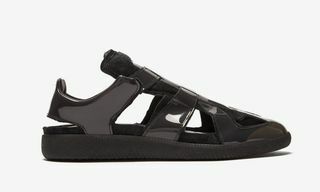 The classy black shoe is made in Italy and features a mixture of suede, leather, and polyester. 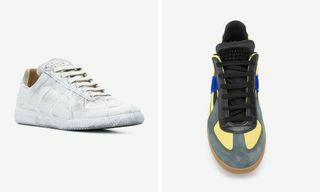 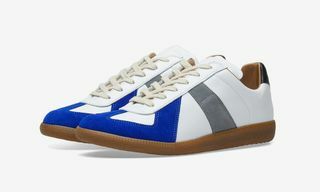 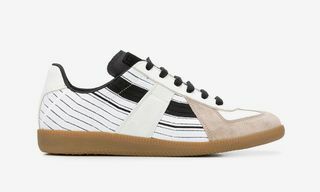 Finer details include Margiela’s heel pick stitch, a “Numbers” garment label at the ankle of the sock, and a gum-colored outsole. 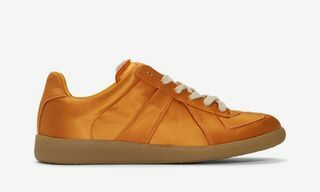 Check out the shoe above and shop it at Farfetch via the link above. In other news, Netflix Twitter leak reveals ‘Black Mirror’ season five release date.